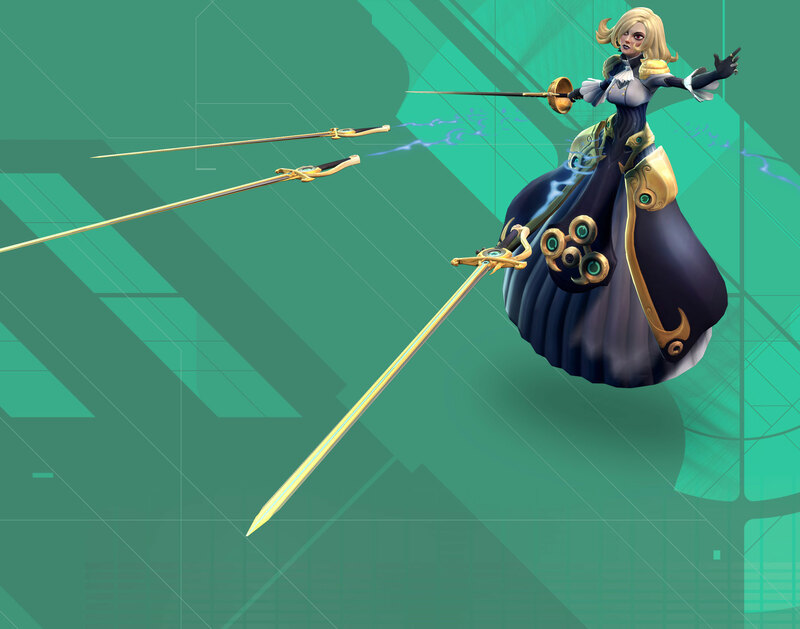 Phoebe's primary attack chains multiple melee-range rapier strikes, while her secondary attack activates True Strike. Phoebe's high-tech formal wear and telekinetic rapiers can be augmented to substantially increase her survivability and lethality. Phoebe launches a barrage of four charged rapiers, each dealing damage. Conjures a storm of falling rapiers dealing damage over time to a large area. Exiting Phasegate grants increased movement speed for a short time. Phasegate creates an electric storm at Phoebe's destination, damaging nearby enemies. Blade Rush blades explode on contact, damaging nearby enemies. Landing a hit with True Strike increases Phoebe's defense for a short time. 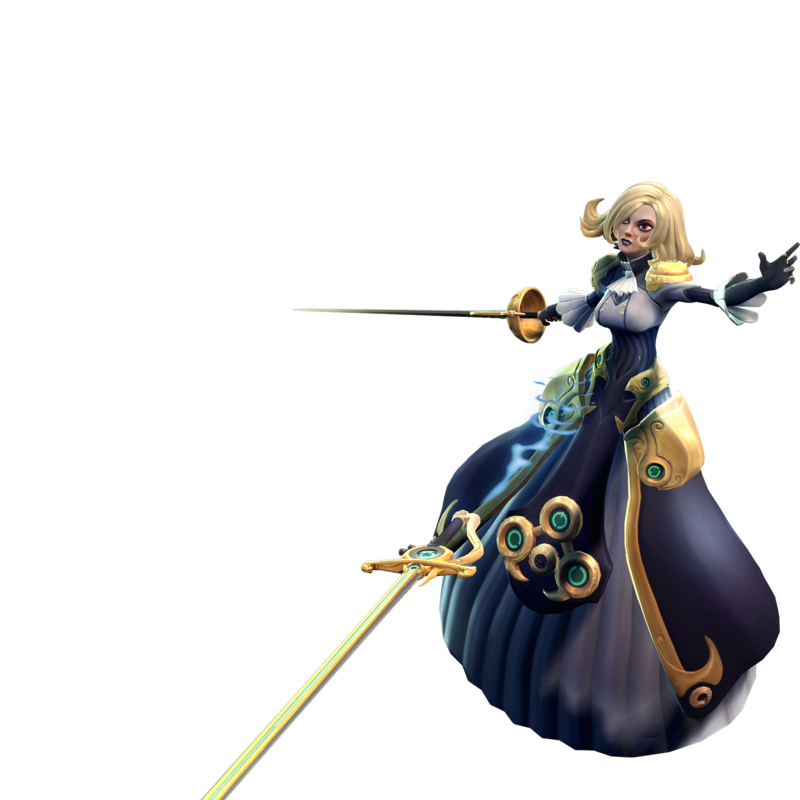 Adds a portion of Phoebe's current shield strength to Blade Rush as bonus damage. Enemies struck by Blade Cascade suffer increased damage from all sources for a short time. Enemies hit by Blade Rush will be stunned by the last strike of Phoebe's primary melee combo. Phasegate creates a field at Phoebe's target destination that slows nearby enemies. Phoebe's primary melee attacks deal increased damage. When Blade Rush hits an enemy, the skill's cooldown is reduced. Increased effect on enemy Battleborn. A portion of Blade Rush's damage bypasses enemy shields. Increases Phoebe's primary melee attack speed. Increases damage of Blade Rush's rapiers the further they travel. Increases Blade Cascade's area of effect. Moving through the area grants a temporary boost in movement speed.